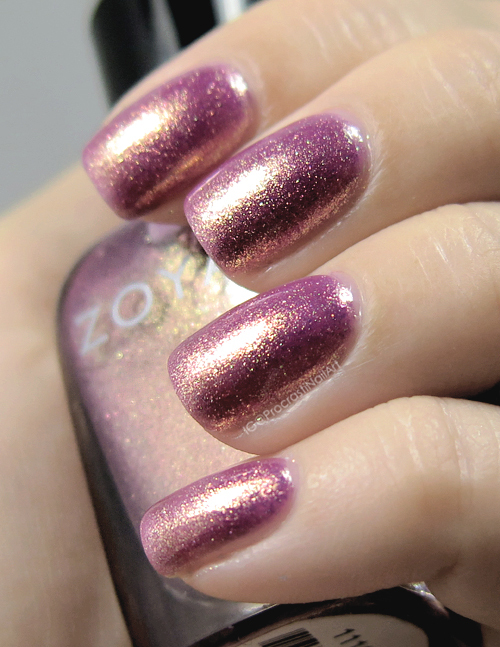 A quick and lovely swatch for you today! 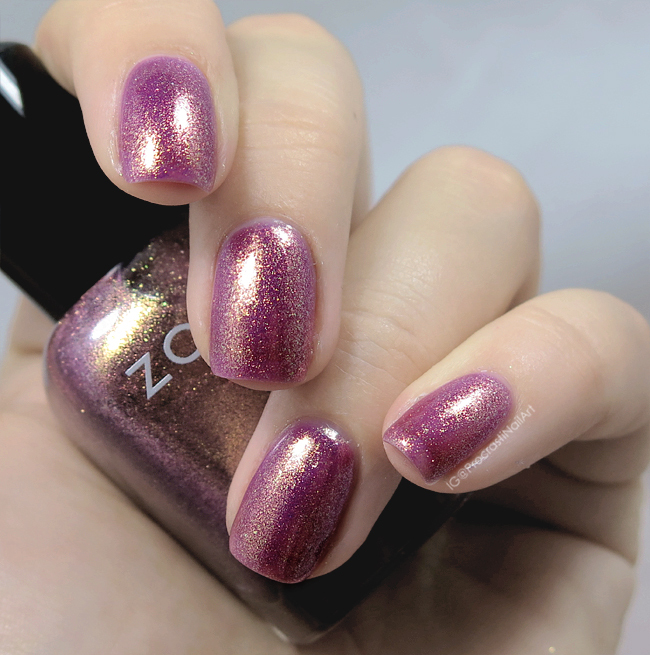 We're looking at Zoya Faye which was originally released as part of the Sunshine Collection in Summer 2011. :) This is one I picked up pretty recently and I'm so glad I did - look at that gold shimmer! Drool! 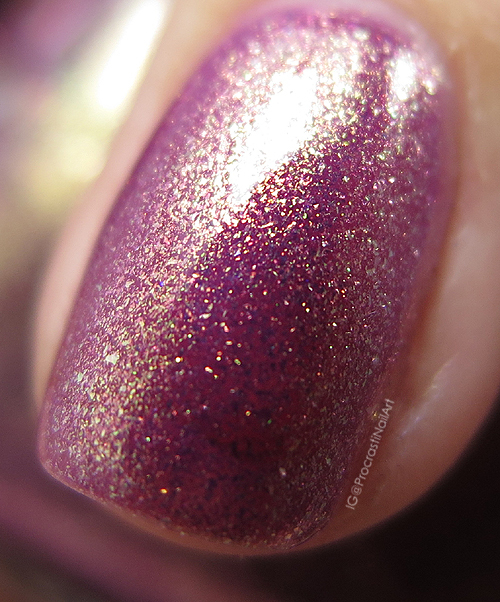 Faye is a polish unlike any others I have in my collection, which is really nice! It's a soft pink-leaning plum shade with a gorgeous bold gold shimmer when the light hits it at the right angle. It took three coats to build this one up to full opacity, but I really don't mind since it's really really lovely when it's got full coverage. Is Faye a shade you own or would pick up? Looking at it now I think it's definitely one I'll have to pull out again in the spring when the flowers are starting to peek out! It just gives me that vibe! Its gorgeous! That bold gold shimmer in it is awesome.